Skanska and Loughborough University have signed a deal to develop the world’s first commercial concrete printing robot. The contractor hopes to be using printed concrete products on sites within 18 months and the project is also being backed by Foster + Partners, Buchan Concrete, ABB and Lafarge Tarmac. Skanska said the long-term aim was to set-up a 3D printing supply chain. A team in the School of Civil and Building Engineering at Loughborough have worked on the development of 3D printing technology for the construction industry since 2007. The team have developed 3D concrete printers fitted to a gantry and a robotic arm, which is now in its second-generation form. The printer deposits a high–performance concrete precisely under computer control. It works by laying down successive layers of concrete until the entire object is created. The printer can make things which cannot be manufactured by conventional processes such as complex structural components, curved cladding panels and architectural features. 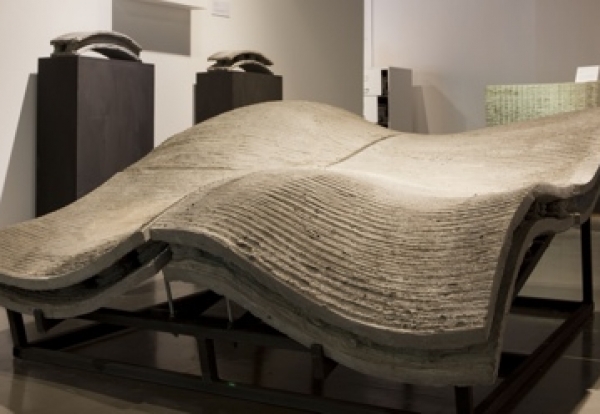 Rob Francis, Skanska’s Director of Innovation and Business Improvement said: “3D concrete printing, when combined with a type of mobile prefabrication centre, has the potential to reduce the time needed to create complex elements of buildings from weeks to hours. 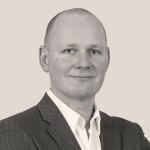 Dr Richard Buswell from the Building Energy Research Group at Loughborough University said: “The modern construction industry is becoming more and more demanding in terms of design and construction. “We have reached a point where new developments in construction manufacturing are required to meet the new challenges and our research has sought to respond to that challenge. “We are pleased and excited by the opportunity to develop the world’s first commercial 3D concrete printing robot with Skanska and their consortium.